CHINA: Jiao guo mu, Hai jia zi, Hai dian zi, Jian zi shu. INDIA: Gat garan, Math garan. INDONESIA: Tengar, Tanggala tutu, Tingi. THAILAND: Prong, Prong daeng, Samae. 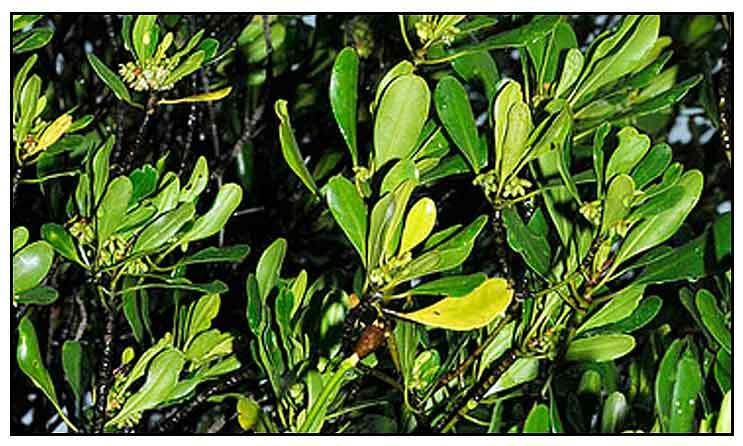 - Abundant in mangrove swamps throughout the Philippines. - Also occurs in India to Malaya. - Aerial parts yielded three new lupane-type triterpenes, 3a-O-trans-feruloylbetulinic acid, 3a-O-trans-coumaroylbetulinic acid and 3ß-O-cis-feruloylbetulin, with 10 known triterpenes. - Whole plant is considered astringent. - Stem-bark considered vulnerary and anti-infective. - Bark is astringent, hemostatic, and used as quinine substitute. - Studies have suggested antitumor, antihyperglycemic, antibacterial, antioxidant properties. - Decoction of the bark used to stop hemorrhages; applied to malignant ulcers. - Bark used for diabetes. 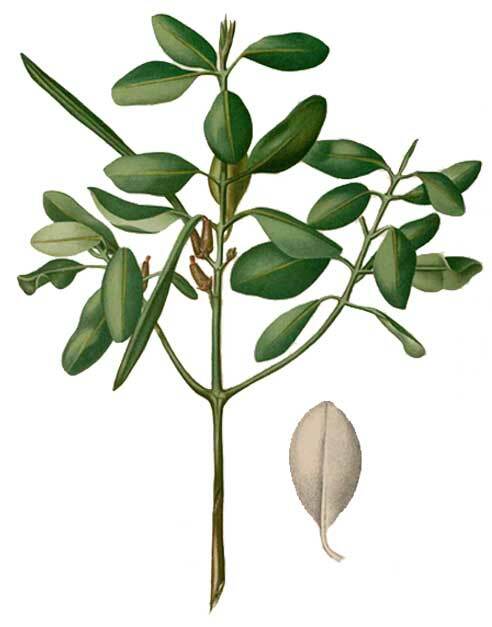 - In the African Coast, decoction of shoots used as substitute for quinine. - Malay women use a decoction of bark in childbirth. - In India, bark used as hemostatic. - In Malaysia, bark lotion used for ulcers and abdominal ailments. - Dye: In eastern Africa and Asia, stem bark used for dyeing and tanning. In SE Asia, source of "soga browns" of Javanese batiks. - Preservative: In fishing communities, bark extract used to preserve nets and sails from decay. - Wood: Poles, planks and wattlework for house building. A new dolabrane-type diterpene from Ceriops tagal / Ouyang XW, Wang XC, Yue QX, Hu LH / Nat Prod Commun. 2010 Jan;5(1):9-12.